My 5: Lan Ha Bay Cruise, Vietnam. 1. Lan Ha Bay Cruise, April 2018. As beautiful as Cat Ba Island is, for most visitors the main reason to come out here is for a boat cruise through the region’s spectacular Lan Ha & Halong bays. Choose your tour operator VERY CAREFULLY, as the scene is riddled with tricksters and scammers. Some have shoddy boats not fit for purpose, others blatantly lie to you about the itinerary, either rushing you through key points of interest or even skipping the highlights completely. After much research I opted for a cruise with the highly rated Green Trail, who have an office on the main drag in Cat Ba Town. 2. Lan Ha Bay Cruise, April 2018. 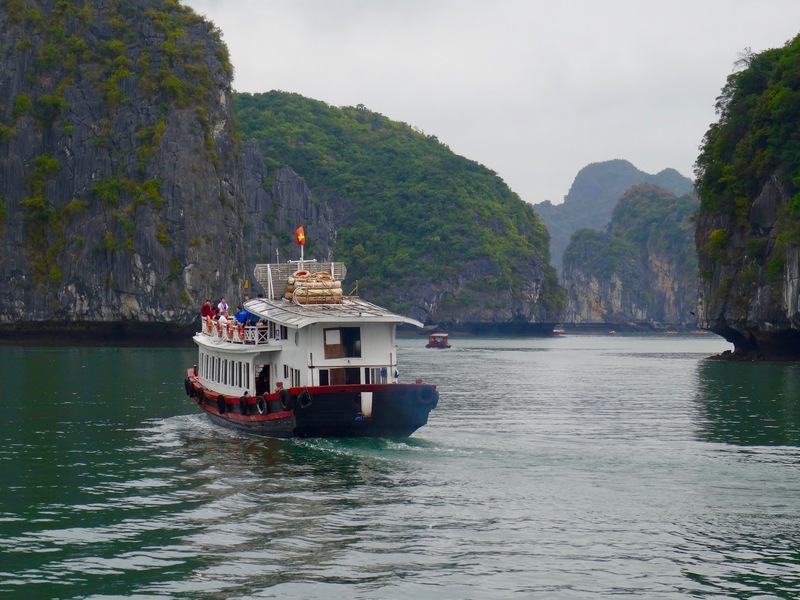 The daylong cruise took about twenty of us through both bays and this article focuses on the first part of the tour along Lan Ha Bay. 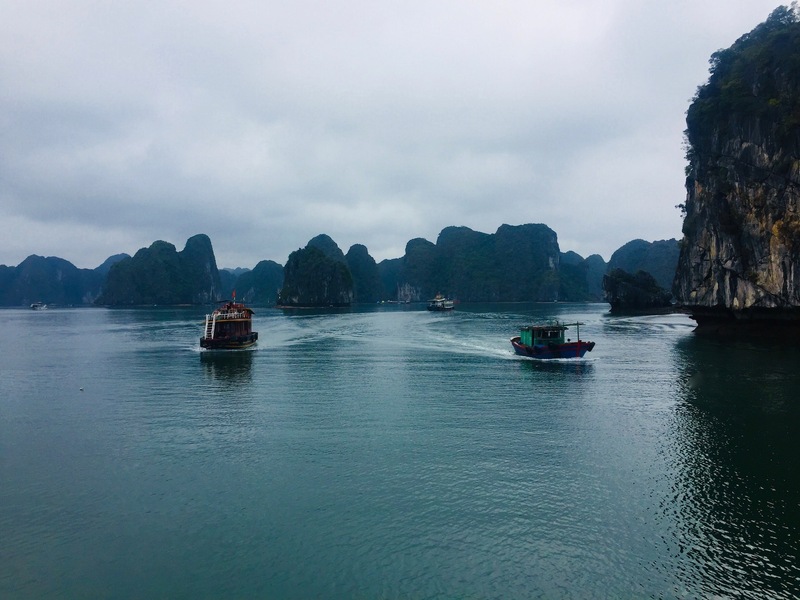 It’s further away from the mainland than Halong Bay and the route is much quieter: which means you’ll see less boats, less morons and cleaner waters as you glide along enjoying those towering limestone peaks. Feet up, Vietnamese coffee in hand, a light breeze whooshing through my hair, not bad at all! 3. Lan Ha Bay Cruise, April 2018. 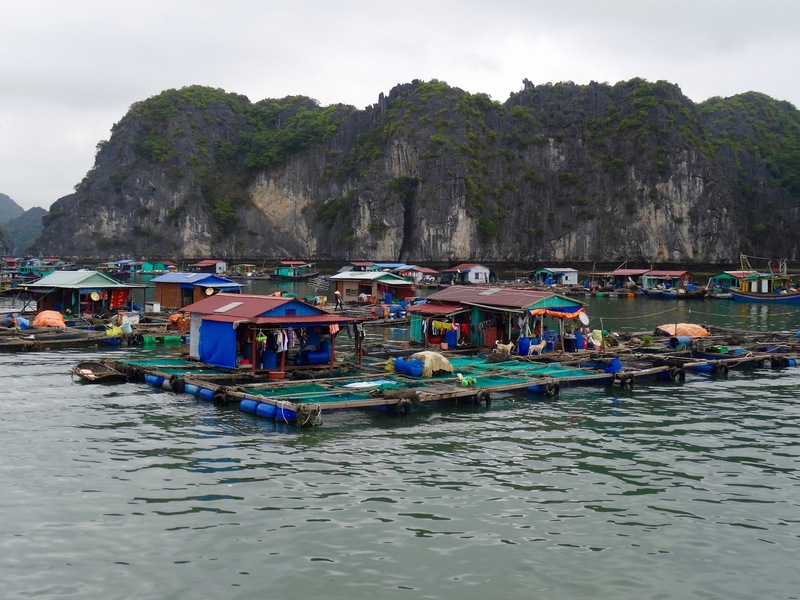 There are a number of floating villages and fish farms throughout the bay where families observe a traditional way of life largely unchanged over the last hundred years. “They fish, they smoke, they sleep, they raise their families, only difference is Wifi!” laughed Thang, our excellent guide. They make a lot of money too by all accounts! So much so that the government has put a ban on those with no hereditary link to the area rocking up to build their own villages. 4. Lan Ha Bay Cruise, April 2018. 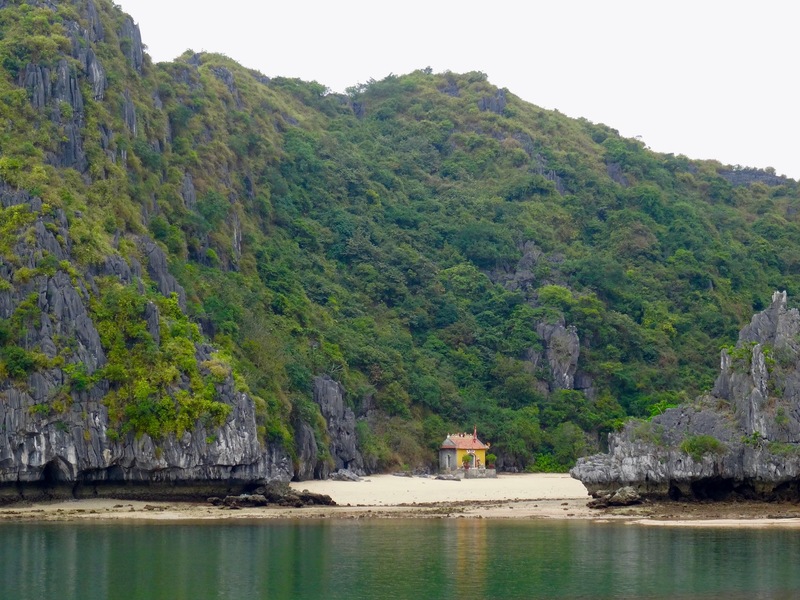 Unlike Halong Bay, Lan Ha boasts a number of pretty, isolated beaches. This one, known locally as Temple Beach, features a shrine to the fishermen who’ve lost their lives in typhoons over the years. The area is prone to severe storms and, according to Thang; most families here have lost someone to bad weather. Locals also come here to pray for safe passage before long voyages out to sea. 5. Lan Ha Bay Cruise, April 2018. You know all those gorgeous photos on Google showing boats floating under a perfect blue sky? Well, it almost doesn’t exist!!! Most of the year the bay is enveloped in a misty haze, while you should also be prepared for the possibility of sporadic rain, regardless of the weather forecast. I remember meeting one girl in Hanoi who was left devastated after her cruise: “It was just the thickest fog, we could hardly see a thing!” Anyone who comes here and gets a clear blue sky should count themselves very fortunate indeed! My day tour of Lan Ha Bay and Halong Bay included a superb lunch, swimming, kayaking and a visit to Monkey Island. I paid 454.000VND (£14.90/€16.90/$20). For more on Green Trail’s fantastic tour, don’t miss My 5s on the Halong Bay segment of the cruise, as well as our stop at Monkey Island. Want to spend some time in the area? I’d highly recommended basing yourself on nearby Cat Ba Island for at least a few nights. Like these? Why not check out my many other 5s from all across Vietnam. My 5: Sweet Potato Homestay – Cat Ba Island, Vietnam. My 5: Halong Bay Cruise, Vietnam. Hey, thanks a lot for stopping by and taking the time to comment! I have heard good things about Bai Tu Long Bay.